There is nothing better than spending your time listening to your favourite radio stations and DJs as they announce the latest news and gossip, ready for you to share with friends and family once you get to work, or back home. It’s great to get the chance to listen to the station and music you love the most, but how are you going to do it? Yes, there are phone apps for things like BBC radio, but these only offer you a limited number of stations. What you need, it a pocket DAB radio – which offers you all of the radio stations that you love, while also being small enough to slide into your pocket. You can use headphones to listen to them for a private experience, and most of them come with FM stations as well, giving you unlimited access at all times. Truly, it’s the best option for personal radio listening. We know that it’s not always easy to choose a model with so many out there, and that’s where we come in to give you a hand with things. 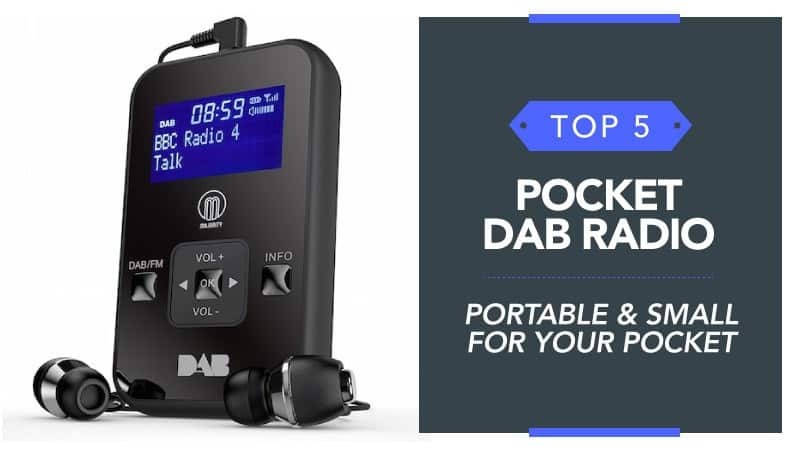 In order to help you find the best pocket DAB radio, we have put this guide together, compiling all of the relevant pocket DAB radio reviews in one place, so you can find the one that works perfectly for you. What is a Pocket DAB Radio? Essentially, a pocket DAB radio is a compact and lightweight version of a regular DAB radio, making it easy to take with you between locations or listen to when you are commuting. You can connect a pair of earbud or headphones to them for personal listening, and they also tend to be small enough to slide into your pocket comfortably. Some models will come with a touchscreen, and others will have button controls on the main body. 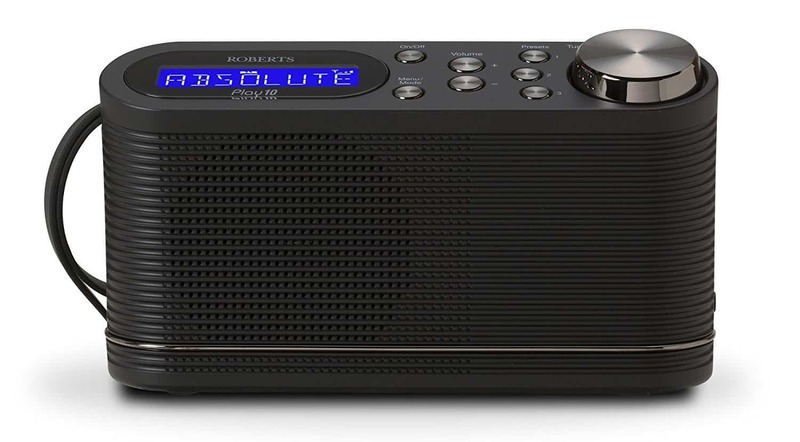 With the inclusion of FM radio so that you have access to all the stations you love, this little device has grown in popularity as time goes by, making it a leading choice for most radio lovers. Now that you know a little more about these portable radios and how they work, check out the pocket DAB radio reviews below and see what you think. Sony is the master of music, and when you have one of their products you know, you are in for a treat. 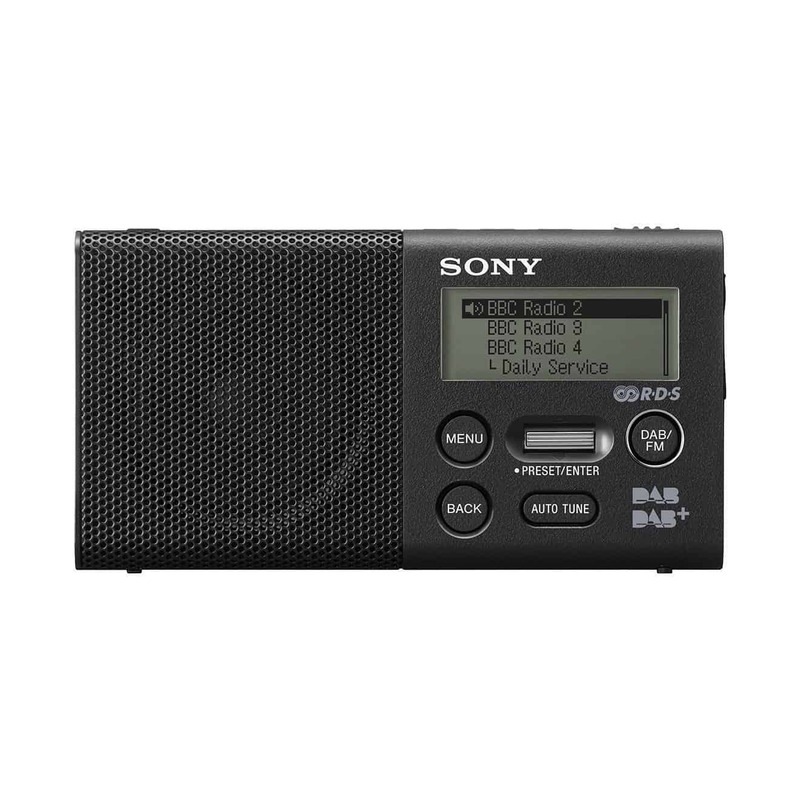 Reliable and good quality, this pocket DAB radio is a testament to the standards Sony have set. Just take a moment to read the reviews below and see what you think of this model. This pocket DAB radio comes in black or white, allowing you to pick the one that best reflects your tastes, and it has a funky retro style that looks like you are carrying a miniature classic radio around with you. While the radio itself is small, the sound is not, and it is able to produce clear, crisp audio that is all thanks to the digital amplifier, and you can plug in your headphones for easy listening. You also have the option to choose from 20 presets, meaning that you never have to miss out on the stations you love the most as they are quick and simple to access. It also features DAB, DAB+, and FM radio, with a tuning process that is free from hassle. Additionally, the entire device is nice and lightweight, so you will barely notice it in your pocket or backpack when transporting it. The battery indicator is a little vague, as it only shows lines as opposed to a percentage. This nifty little pocket radio comes at a really good and reasonable price, especially when considering it comes from such a reputable brand. While the battery indicator isn’t the clearest when it comes to showing how much charge is left, it still gives a rough idea of the remaining amount of playtime. Other than that, it has everything you need to enjoy the stations you love n your way to work – including amazing sound quality. Goodman is another great name when it comes to music and audio devices, so you are unlikely to be disappointed by this brilliant device. Portable and easy to use, it provides you with everything you need and more. Take a moment to read the reviews below and see if this is the perfect one for you. This pocket DAB radio comes in black, with a sleek and modern design that will blend in perfectly with the rest of your tech. There is even the option to buy it as a bundle with a pair of headphones, which is ideal for those who want a good quality pair to listen with. It also has a very slim and compact build, which makes it ideal for sliding in your pocket as you will barely feel it there. The battery life can go for 13 hours of playtime, giving you more than enough charge for a week of commutes. There is also the option to put it on speaker mode, but the battery life is halved at this point. The sound quality is great in both settings, and the controls themselves are not only easy to reach, but also very simple to learn and use, ensuring there is no added stress to your day. The presets can be quite fiddly to register and find, which some customers found frustrating. This mini DAB radio comes at a great price that will slide nicely into a good number of budget, making it a brilliant choice for anyone. While the presets are not the easiest to get used to and register, once you have it down you will be able to flick through them with complete ease. The sound quality is great, and the build is wonderfully compact to ensure that it fits in your pockets comfortably. Plus, most of the controls are very simple to use and get used to. Roberts is also a fantastic brand to go for, especially if you are looking for good quality at a low and reasonable price. After all, we all deserve to listen to the stations we love the most without needing to break the bank. This model could have everything you need, so take a moment to look below. This pocket DAB radio comes in black and white, allowing you to select the colour that works best with your taste and style. It also has a discreet headphone socket so that you can plug in and escape the outside world, allowing you to enjoy your top stations in peace and quiet. There is also a nifty little handle attached so that you can carry it around with ease and even attach it to a belt or bag. 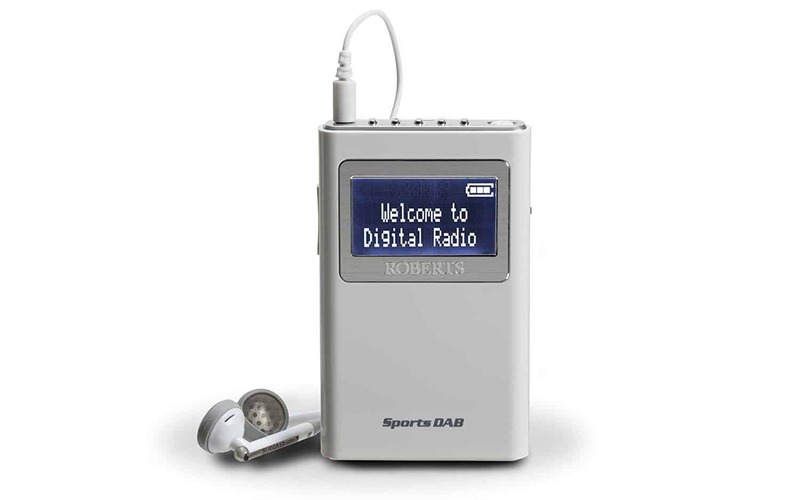 It features DAB, DAB+, and FM radio, which means that you never have to miss another show, and you don’t have to give up any of the DJs you love. There are also six presets so that you can quickly jump between your top picks without hassle, and the option to tune the overall sound. The LCD display is clear and easy to read, with the controls close together and simple to use. The button can be a little small and fiddly, especially for those with larger fingers or the elderly. 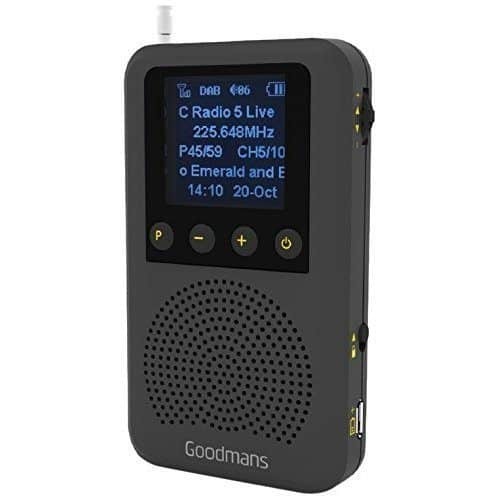 This pocket DAB radio comes at a very low price, which is ideal for those who don’t want to spend much, but still want a good radio with great quality. While the controls can be a little small for large or elderly fingers to use, it still makes for a superb option – and one that produces excellent sound quality and has a very portable, compact, size for transportation or commutes. Overall, it offers great value for money and really is one to consider. Here are some further models of pocket DAB radios, just in case the ones above do not quite meet your requirements. This portable DAB radio comes in black or white, so you can pick the colour that works best for you. It is also lightweight and portable, which makes it ideal for those who want to listen to the radio when they are on the move. It also comes with digital DAB, DAB+, and FM radio – giving you access to every channel that you love. There are separate controls for the bass and treble, and the earbuds that come with it are noise isolating to give you a more personal experience. Easy to use, this great little bundle also comes at a very affordable price. Another model from top brand Roberts, this nifty pocket DAB radio could be just what you need – and it comes at a really good price. It is the perfect size to slide into your pocket, so you can take the stations you love everywhere you go. Plus, you never need to worry about missing out on your top stations as it has digital DAB, DAB+, and FM wavebands to keep you going. There are also ten presets for you to use so that you can jump straight to your favourites. The headphones are comfortable to wear and give you good quality sound, while the screen has a great back light to help you see clearly when the light starts to fade. 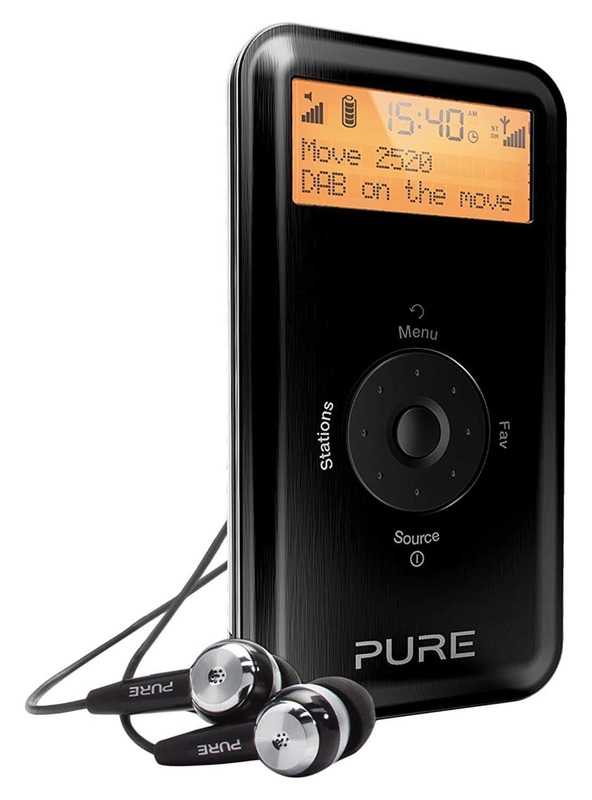 Hopefully, this guide has helped you to find the best pocket DAB radio, and that they have given you a better idea of what you need to be able to listen to your favourite stations regardless of where you are. We know how important it is that you are able to purchase a radio that is not only great quality, but also fits into your budget so that you don’t need to worry about spending too much. That is why we have been incredibly thorough and careful when selecting the pocket DAB radios here, ensuring that trusted brands like Sony and Roberts are listed so that you feel more comfortable. Plus, they are some of the best when it comes to tech, so you are practically guaranteed reliability and quality. What did you think of our portable DAB radio guide? Are there any that you would have liked to see or recommended? We love hearing from you, so make sure to leave us a message in the comments below.